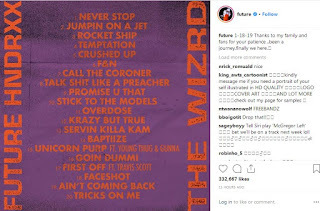 Not all tracks you will stream on amahiphop but we have promise to push the full album of Future's The Wizard project here, just once it get released this week on Friday. Some of the popular songs and video directly coming from this album is ‘Crushed Up’ and also ‘Jumpin On A Jet’. 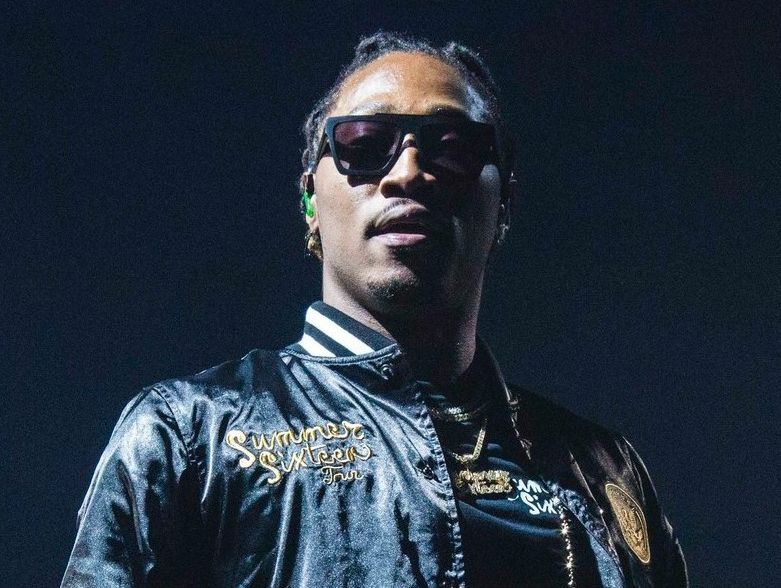 If there any other single from Future may be that should come on Friend as the album get released. 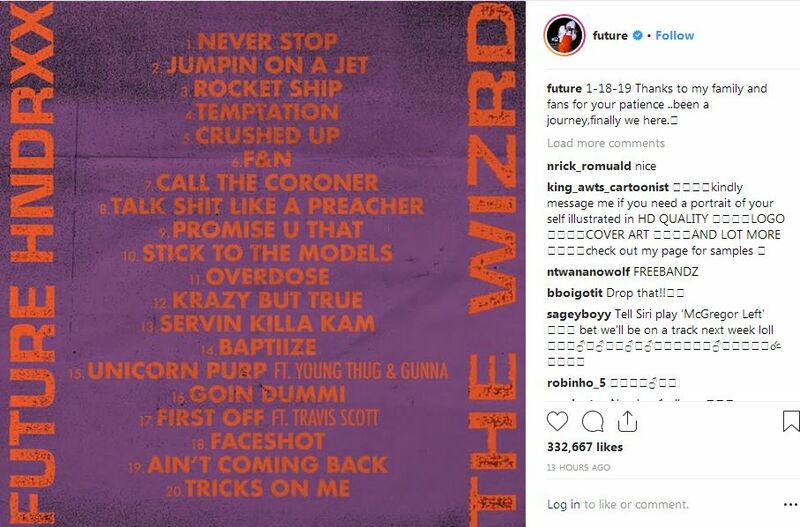 Future previously shared his "The Wizard" Album Cover & Documentary Trailer which you can watch here but before that you should take a peek on The Wizard Track List. His has made the full list meaning the album is ready but not released until the date. On his Instagram you will some guest artist who contributed on his album to make one prestigious project this 2019. Name like Young Thug, Gunna and Travis Scott are welcomed although the album has been compiled with 20 tracks so you should know by now that future 2019 album featured 20 tracks. As you can see the above screenshot photo, the first track on The Wizard album is Never Stop while the last track is Tricks On Me. The track list also has some single with the different album although not friendly to some popular artists but at least we can see Young Thug and Gunna on track 15 which is Unicorn while Travis Scott got himself on track 17 team work which is First Off.